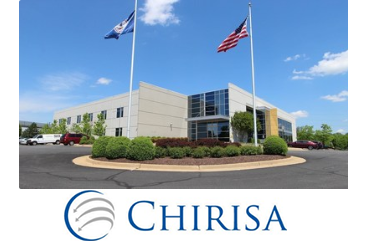 Chirisa Investments, an Irish-based investor in global digital infrastructure, has acquired a strategically located facility in Ashburn, Virginia - often referred to as Data Center Alley. The facility, which was acquired for an undisclosed amount of cash in an off-market transaction, is located at the corner of Beaumeade Circle and Loudoun County Parkway. It adjoins major Equinix, Digital Realty CenturyLink, and Raging Wire data centers. Eir, the former incumbent telecoms operator in Ireland, has withdrawn its bid from Ireland's National Broadband Plan (NBP) tender process. The company, which was shortlisted due to its extensive network infrastructure and business experience, cited significant commercial issues and complexity with the tender process. Eir concluded that the uncertainty on a range of regulatory and pricing issues presented too many risks to continue with a bid. In a press release, Eir said it remains committed to supporting the NBP through commercial access to its network. Eir also noted that it has invested €1.6bn to improve the telecommunications infrastructure in Ireland and that it now delivers high-speed broadband to 1.7 million premises across the country. Eir also remains fully committed to completing the rollout of high-speed broadband in rural Ireland through the commitment contract it signed with the Government in April 2017 to deliver speeds of up to 1,000Mb/s to 300,000 rural homes and businesses. Upon completion, 80% of premises in Ireland will have access to high-speed broadband. 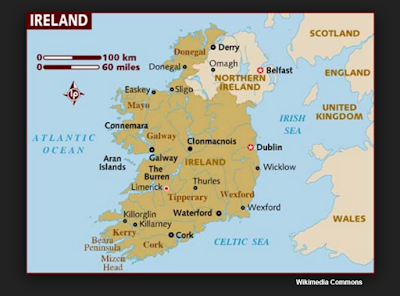 INEX, the Internet exchange for the island of Ireland, has deployed the Coriant Groove G30 Network Disaggregation Platform in its backbone network. INEX is located in six data centres in the Dublin region and opened its first regional Internet exchange in Cork in 2016. INEX currently has over 1 terabit of connected capacity with approximately 300 petabytes of traffic having flowed over the exchange in 2016. 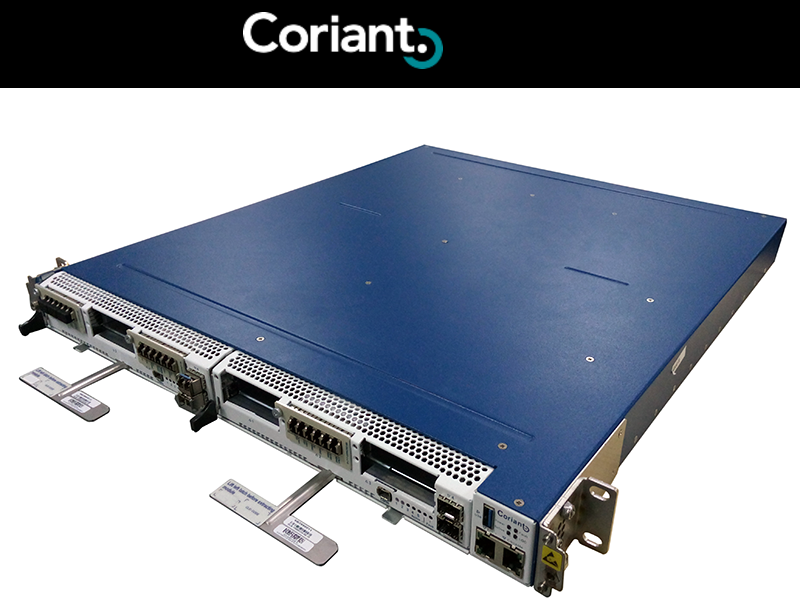 Coriant's Groove G30 platform is being used for secure, resilient, and scalable high-speed services, including 100G interconnect services optimized for growth in Internet. The network is now live. The Coriant Groove G30 delivers 3.2 Tbps of capacity throughput in a highly compact, power-efficient 1RU form factor. It features a plug-and-play modular architecture and can be equipped as a muxponder terminal solution and as an Open Line System (OLS) optical layer solution. Huawei and Imagine Communications Group, a service provider based in Dublin, Ireland, have announced the formation of a strategic partnership under which Ireland will become the first country to see the deployment of a national wireless-to the-x (WTTx) network. Utilising the latest released LTE technologies optimised to provide a fixed access network, Imagine will use Huawei's WTTx solution to deliver superfast broadband offering speeds of 200 Mbit/s and higher across Ireland to help address the digital divide between urban and rural areas. Leveraging the latest 4.5G technologies including massive MIMO and massive Carrier Aggregation (CA), the solution is capable of delivering a downlink speed of over 1 Gbit/s, as well as providing a roadmap to 5G, using advanced CPE to connect premises to a fibre link at a mobile mast is faster. Huawei noted that deployment of the technology has significantly lower cost compared to conventional fibre access solutions, with WTTx emerging as a strategic alternative to FTTx infrastructure for quickly extending high speed broadband availability. Huawei added that Ireland is a country where there is a significant difference between urban and rural areas in term of network infrastructure. While in urban areas cable availability offers an alternative to limited FTTx networks, it often fails to meet the advertised speeds of up to 100 Mbit/s, and cannot meet demand for above 100 Mbit/s services. In addition, around 61% of the market in regional and rural areas is served with xDSL services delivering speeds as low as 3 Mbit/s. Ireland initiated a national broadband plan in 2012 designed to make 30 Mbit/s broadband services available to every home by 2020. With FTTP as the only alternative and the difficulties and high cost of deploying FTTP, to date only an estimated 12,000 premises have been connected. 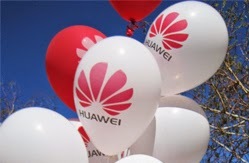 Huawei stated that in a limited commercial trial of the Imagine LTE fixed wireless access network in selected rural areas which offers 70 Mbit/s service, 16,000 customers have been connected, while over 100,000 customers have applied for the service. With the 3.6 GHz 5G licenses secured in the recent spectrum award, Imagine aims to be the first operator to provide 100 Mbit/s-plus services in rural areas. Imagine plans to commence the rollout of its WTTx network in October this year, with the objective of achieving 85% market coverage by 2019. Silver Spring Networks, a provider of connectivity for the Internet of Things (IoT), announced that it is working with ESB Telecoms, a subsidiary of electric utility ESB and operator of a national open access wholesale network, to develop a national IoT network across Ireland. The planned network is designed to serve as a catalyst for municipal, commercial and industrial customers to connect IoT and smart city applications and devices. Once the IoT network is deployed, Silver Spring's Starfish platform-as-a-service (PaaS) will augment ESB Telecoms' infrastructure and services nationwide. Starfish PaaS offers service level agreements and is based on Silver Spring's proven, secure Wi-SUN standards-based mesh technology that complies with the IEEE 802.15.4g specification. As mesh-connected devices communicate with neighbouring devices, these networks are designed to deliver the robust and reliable connectivity that IoT networks require. With more than 26.7 million enabled devices delivered, Silver Spring noted that it has deployed its technology in Bristol, Chicago, Copenhagen, Dubai, Glasgow, Kolkata, London, Melbourne, Mexico City, Paris, San Francisco, Sao Paulo, Singapore and Washington DC. ESB Telecoms owns and operates Ireland's National Telecommunications Fibre Optic Network as well as 450 telecommunication towers and sites on which all major Irish telcos have substantial installations. Customers of ESB Telecoms include all mobile operators, Irish government bodies, licensed FM operators and wireless Internet services providers. Separately, Silver Spring announced that it will deploy its Starfish PaaS across the City of London and the London borough of Barking and Dagenham, expanding the previously announced London deployment in the City of Westminster. Through urbancontrol, Starfish is expected to connect around 12,000 smart street lights in the City of London and 15,500 smart street lights in Barking and Dagenham. Despite the Republic of Ireland and Northern Ireland being totally separate politically it is interesting and even encouraging to note that many services to some extent ignore the distinction. BT for instance operates across Northern Ireland and the Republic of Ireland as an all-island operation, headquartered in Belfast and Dublin, employing over 3,000 people. 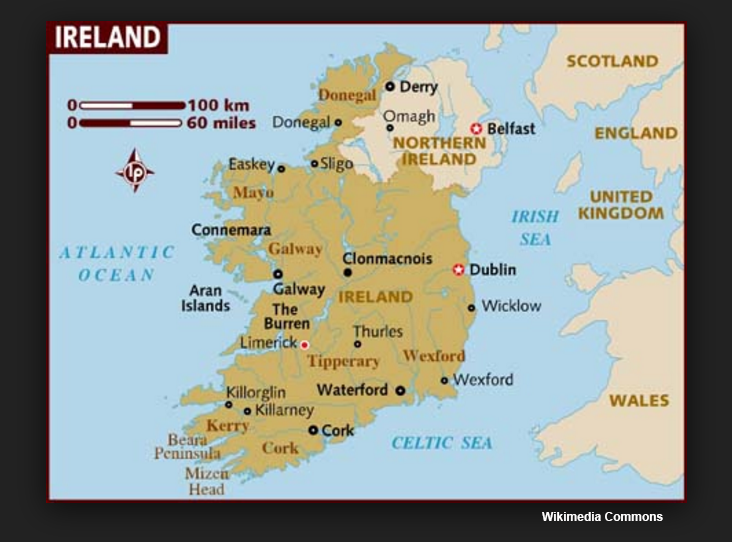 Eir also has operations in Northern Ireland, based in Belfast, which own and operate a fibre network ring around Belfast and Northern Ireland linking into the national Eir Network in the rest of Ireland. Vodafone is a UK-based company and for GBP 5 a month Vodafone customers can avoid roaming charges between the two countries. This company originated from the state-owned telecommunications monopoly Telecom Eireann which went public in 1999 and continues to dominate the country's fixed sector. In 2013 the descendant of that state-owned monopoly was acquired by a consortium of international telco and infrastructure investors. The consortium consisted of Granahan McCourt Capital, led by David C. McCourt, Oak Hill Advisors, as well as the private family fund of Walter Scott Jr. (who sits on the board of Berkshire Hathaway). 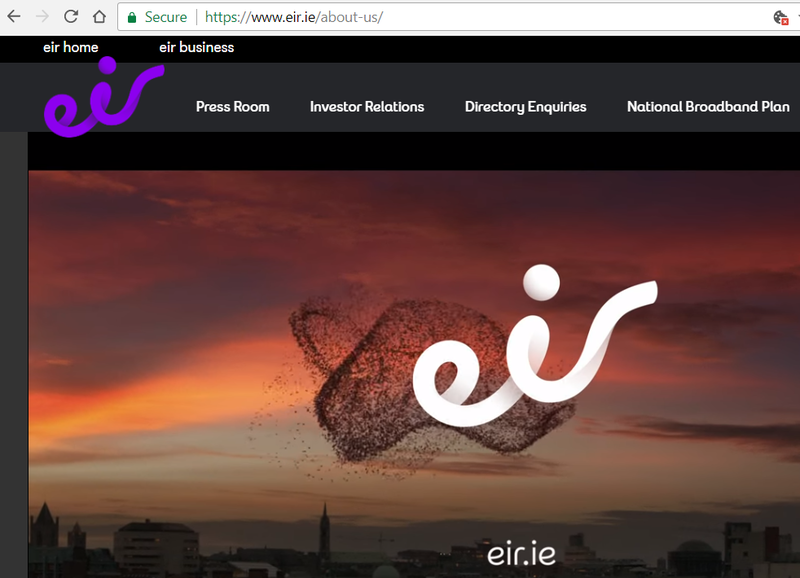 Eir Holdings is now Eire's largest communications operator with a variety of subsidiaries including Open Eir (a wholesale fibre network operator operating as Enet), Meteor (the third largest national mobile operator), Eir Business NI (its Northern Ireland business), Eircom Net (an ISP), Eir Mobile, or e-Mobile (an MVNO), Eir UK, and Eir Vision (video business). For the 2015/16 year it reported revenue of Euro 1,265 million. In March 2017 the company reported underlying 3 months and 6 months revenue to the end of December 2016 of Euro 336 million and Euro 666 million, respectively, both up about 2% year on year. The report also said that it now had 500,000 optical fibre connections and that take up was 31% compared to 26% in the prior year period. It noted 23% of its customers were now taking a triple-play or quad-play bundle and it had now achieved 95% population coverage with its 4G network, which it claimed was three months ahead of schedule. In September 2015 the company announced a Euro 16 million re-branding exercise whereby Eircom would become Eir using a roughly scrawled 'eir' as its logo. In the official release Richard Moat, CEO, noted that the change to eir would not impact Meteor, which will remain as a standalone brand within the eir Group, consumer and business divisions would operate under the new eir brand, while the wholesale and network business units would operate separately under Open eir, reflecting its open access network. The e-suite of products, including eMobile, eVision and eFibre were replaced by eir Mobile, eir Vision and eir Fibre. In March 2013 eir committed to investing Euro 400 million in the roll out of a national fibre network, open to all operators, connecting approximately 1.6 million homes and businesses in 26 counties to high speed fibre broadband by 2016. In June 2015, eir extended the rollout commitment to include an additional 300,000 homes and businesses, which meant that by the end of 2020 1.9 million homes and business across Ireland would have access to a high speed broadband network. The company offers both fibre to the cabinet (FTTC), delivering speeds up to 100 Mbit/s, and FTTH delivering speeds up to 1 Gbit/s. In November 2016 Enet announced a significant new business initiative, namely the construction on its own account of 100 km of high-capacity fibre networking centred on Dublin's main business district and adjacent areas and linking to at least 11 carrier-neutral data centres, as well as five global operators. The wholly owned network is distinct from the 55 city open national network which it manages on behalf of the Republic. In mid-January 2017 Enet announced that, following investment of Euro 100 million over three years, it had completed the construction and operational implementation of its more than 3,700 km high-capacity multi-fibre national backhaul network, designed to connect 55 city networks around the Republic of Ireland. In early February Enet said that 200 sites in Ireland now had access to gigabit broadband service provided by its national network, which was now being used by more than 70 operators to deliver services to more than one million people. On April 4th Enet said it would invest over Euro 5 million to connect a further ten Irish localities to its fibre network, namely Donegal Town, Buncrana, Ballybofey, Stranorlar, Ballyshannon, Bundoran, Cootehill, Castleblayney, Ballinasloe and Manorhamilton. Also on April 4th, Eir announced it had agreed with the Irish government to invest an additional Euro 200 million to lay poles and cable along 23,000 km of roads to connect 300,000 addresses in 890 rural communities originally part of the objectives of Ireland's National Broadband Plan, and that its fibre upgrade program would be completed by 2018, two years earlier than its original scheduled date of 2020. Vodafone Ireland is a wholly-owned subsidiary of the GBP 41 billion sales-level Vodafone Group, which owns and operates networks in around 26 countries and has partner networks in over 50 additional countries. Vodafone Ireland came into being when in 2001 it acquired the mobile operations that had originally been part of the state-operator Telecom Eireann. As shown in Part 2, the company has around a 15% share of the Irish retail fixed voice market, about 20% of the fixed broadband market and about 40% of the Irish mobile market, which it more or less shares with the Irish subsidiary of Hutchison Telecommunications of Hong Kong, 3 Ireland. For the year to the end of March 2016 Vodafone Ireland, whose staff grew during the year by about 100 to almost 1,000, reported sales of Euro 985 million, up 4% year on year but with an after-tax loss of Euro 11.4 million, down from a profit of Euros 47 million in FY 2014/15. It claimed this was due to a combination of substantial network investment of Euro 550 million over three years, together with start-up losses at its fibre joint venture, Siro, with ESB, the Irish electricity utility. Vodafone said that investment had enabled it to raise its 4G population coverage to over 90% in every county of Ireland as well as providing improved voice and data services. Siro's wholesale FTTB services, which is claimed to offer users download speeds in the range 350 Mbit/s to 1 Gbit/s, were launched in November 2015 in Carrigaline in County Cork, with a population of around 15,000, described as the first of 51 towns nationwide that Siro planned eventually to cover. In mid-December 2016 at the opening of its new HQ in Dublin it was announced that the company had already connected 40,000 premises in 17 regional towns and expected to reach 55,000 with its FTTB network by the end of the year. Siro said it expected to invest Euro 150 million in 2017 and to have expanded to over 30 towns during the year. In early December 2016 also it was announced that Siro had signed an agreement with BT which enabled BT to offer its corporate and wholesale customers access to Siro's network. In January 2016 Vodafone announced the launch of a 55 channel IPTV service over its broadband network, and in July reported service revenue up 2.8% year on year to Euro 242 million for its first fiscal quarter to June and noted that its total mobile customer base had dropped by 19,000 to 1.967 million, while its fixed broadband base had grown by 8,000 during the quarter to 247,000. In early October 2016 Vodafone Ireland announced plans to add 60 additional technical staff over the next 12-18 months. On March 3, 2017 Vodafone Ireland announced that as part of its preparation to upgrade its mobile network to 4G+ it had conducted trials over a live mobile network in Dublin in real life conditions which had reached speeds of 1,000 Mbit/s. This company is a subsidiary of Hutchison Telecommunications, which is part of the Hutchison Whampoa Group of Hong Kong. Prior to July 2014, 3 Ireland was a minor player in the Irish mobile market with only a 9% share, and still profitless despite having spent over Euro 1.1 billion on building up its operations. However, as of that date it completed the purchase from Telefonica of Spain of its much larger local rival O2 Ireland for Euro 780m, following which the merged company served about 37% of the mobile telecoms market bringing it nominally about level with Vodafone's Irish mobile operation. Approval of the deal by the European Commission required 3 Ireland to help set up two new Irish mobile MVNOs, UPC and Carphone Warehouse, and to grant them unconditional use of 15% each of its new wireless capacity. The merged company also inherited very substantial amounts of 4G spectrum. • 2016 revenue down 5% year on year to Euro 655 million. • Net customer service revenue down 8% to Euro 504 million. • Revenue from handsets up 3% to Euro 81 million. • EBITDA up 8% to Euro 188 million. • EBIT up 3% to Euro 112 million. It also reported it had 2.069 million active subscribers at the end of December, a rise of 2% from the year before. (At the end of June 2016 3 Ireland reported 2.84 million registered customers). Fixed revenue shares were as follows: Eir 43.5%, OAOs 12.5%; Virgin Media 14.7%, Vodafone 14.3%, BT 5.3%, Verizon 2.1%, Sky Ireland 4.9%, and Magnet 2.7% (OAO is other authorised operators with below 2% market share in a quarter; in previous quarters AT&T and Digiweb had market shares above 2%). Voice subscriber shares were as follows: Eir 39.9%, Virgin Media 23.9%, Vodafone 15.3%, Sky Ireland=11.2%, Pure Telecom 2.9%, Digiweb 2.5%, and OAOs 4.4% (over the last three years Eir's market share has fallen 10 points from 49.9% in Q4 2013 and Sky Ireland's market share over the same period has risen 7.4 points from 3.8% in Q4 2013). Fixed broadband shares were as follows: Eir 32.6%, Virgin Media 26.8%, Vodafone 19.7%, Sky Ireland 11.8%, OAOs 9.2%. Mobile subscriber market shares (including mobile broadband and M2M) were: Vodafone 38.5%, Three Group 34.9%, Eir Group Mobile 18.0%, Tesco Mobile 6.0%, OAOs 2.6%. Mobile broadband subscriber shares were: Three Group 43.3%, Vodafone 43.9%, Eir Mobile 11.1%, OAOs 1.8%. Companies that make returns to ComReg data for its quarterly reports: Airspeed Telecom; AT&T Global Network Services Ireland; ATS Voice; Blueface; BT Communications Ireland; Casey Cablevision; Colt Technology Services; Crossan Cablecom; DigitalForge; Digiweb; Edge Telecommunications; Eircom; E-Net; Equant operations in Ireland (EGN BV and ENS); ESB Telecoms; EuNetworks Ireland Private Fiber; Europasat Satellite Ireland; Fastcom Broadband; Fulnett, t/a Strencom; ID; IFA Telecom; Imagine Group; Level 3 Communications (Ireland); Lycamobile Ireland; Magnet Networks; Meteor Mobile Communications; Modeva Networks; Nova Networks; Permanet; Postmobile; Pure Telecom; Rapid Broadband; Ripplecom; Sky Ireland; SprintLink Ireland; Tesco Mobile Ireland; Three Ireland(Hutchison); Virgin Media Business; Virgin Media Ireland; Verizon Ireland; and Vodafone Ireland (total 41).